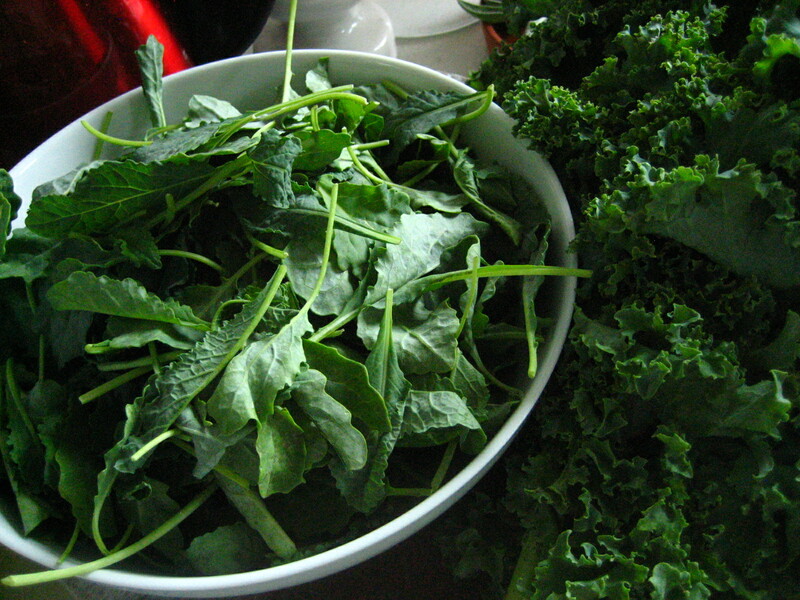 It seemed to make sense to see it in reference to fully mature kale, so I took a side-by-side photo. Initially, I tried to eat it raw in a salad. It was good, but had a little too much bite to use as the only green – I think it would better mixed with some softer leaves of butter lettuce or arugula. Because I bought a healthy amount of it, I ended up dropping it into a big pot of ham and bean soup and it was perfect. I basically just mixed in the kale after the beans finished cooking and I took the pot off the heat – I didn’t want it to lose the vibrant green color. I love kale in soups, and this baby kale is perfect – it stays intact (unlike spinach), but isn’t cumbersome to eat (like mature kale can be). 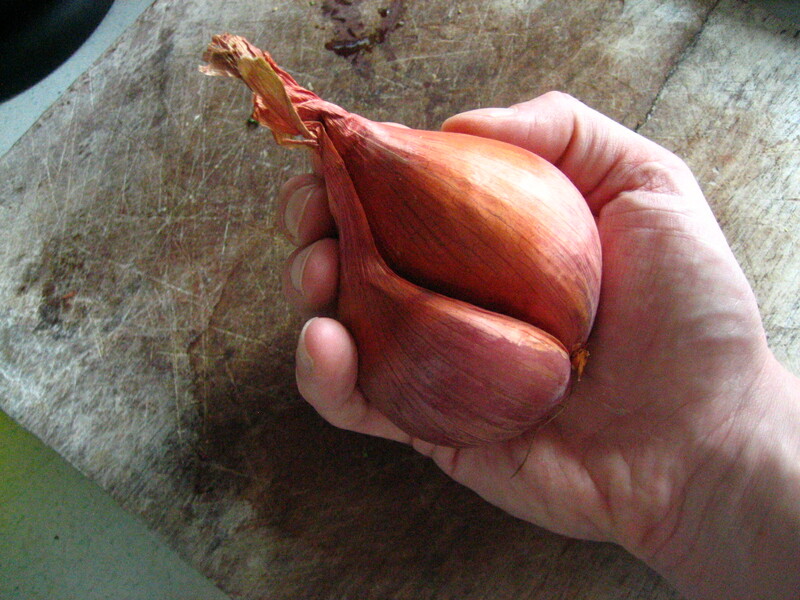 Incidentally, on the same trip to the market, I found this gigantic shallot! i love kale! just baked some chips this morning….will look for petite-version. and holy cow, shallot!